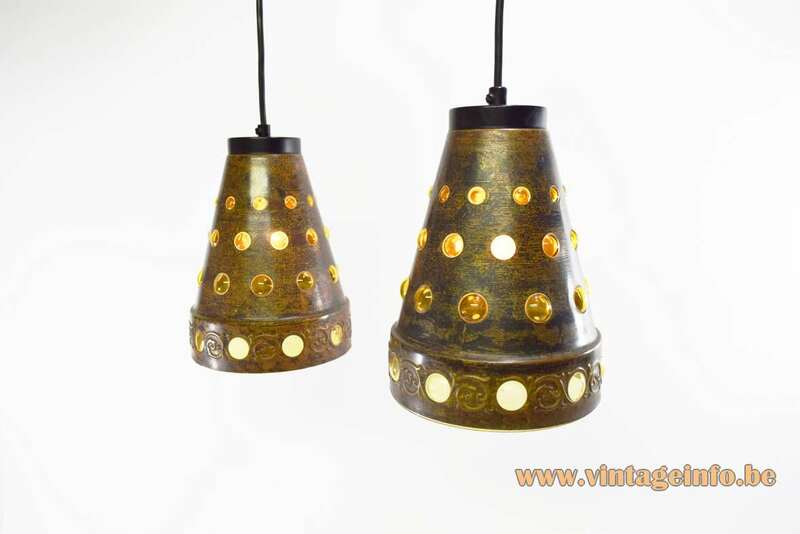 Many thanks to Marjan from Vintage Drachten for the pictures of the other lamps. 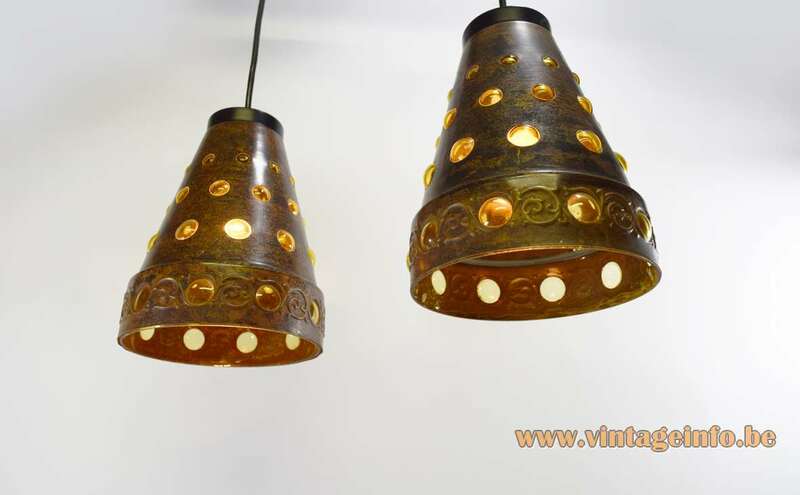 Materials: Round conical pendant lamps. 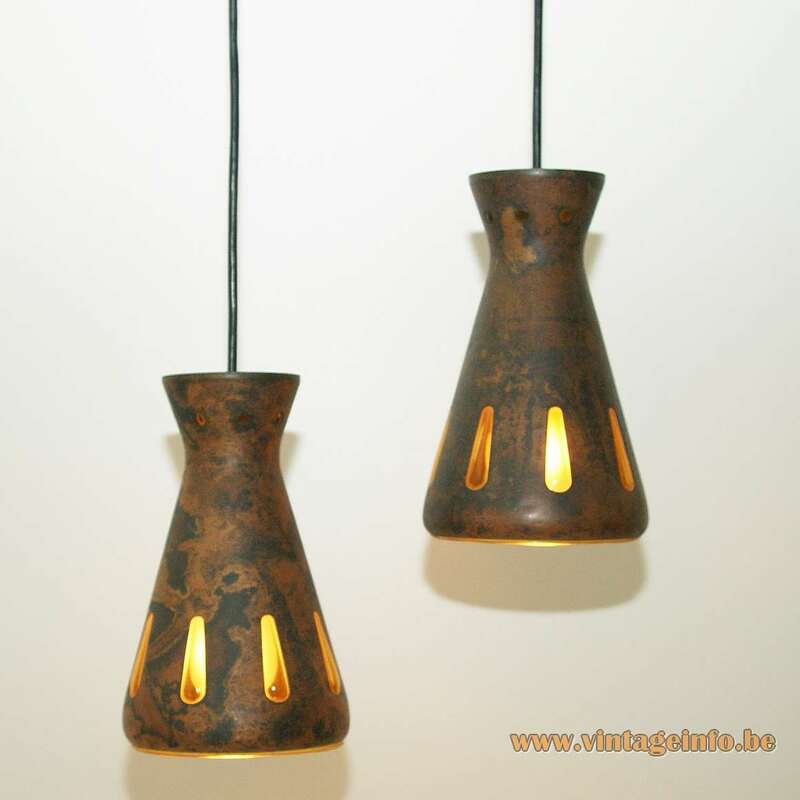 Made of burned copper andd amber/cognac coloured glass. Black painted aluminium lid on top of the lampshade. Bakelite socket. Any type of light bulb can be used, not a specific one preffered. Manufacturer: Peill + Putzler, Düren, Germany. 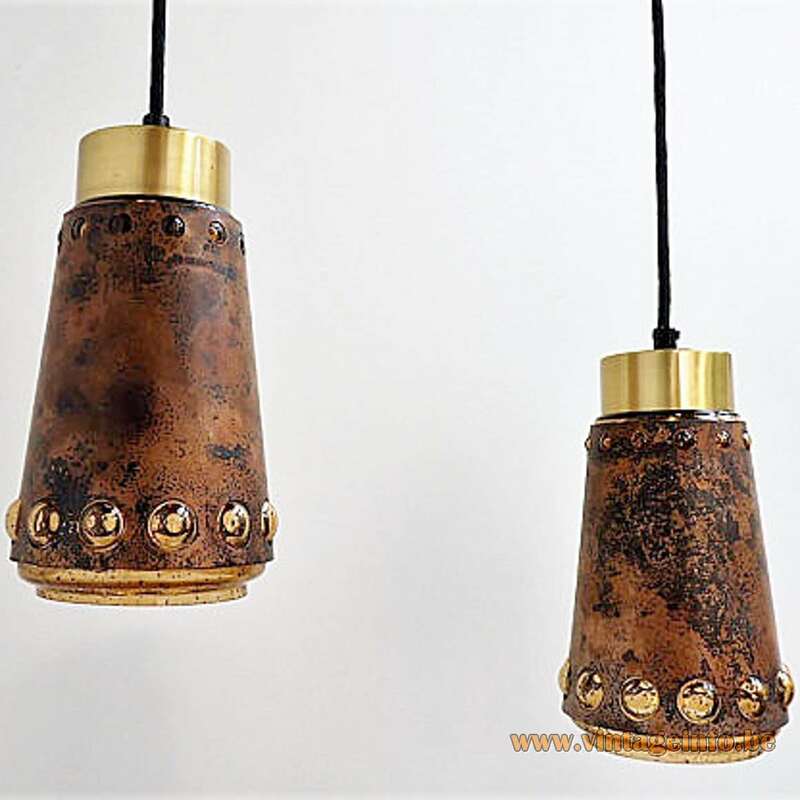 These lamps in all forms and sizes are always attributed as Raak Amsterdam lamps, produced in the Netherlands and designed by Nanny Still-Mackinney. Unfortunately there is absolutely no proof for it. 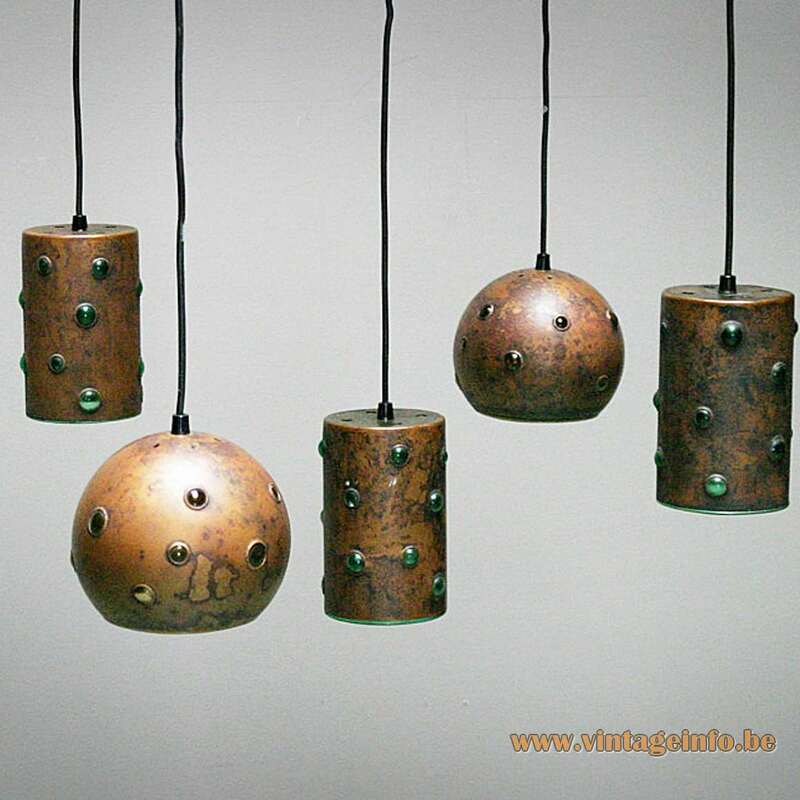 On the contrary, these lamps never appear in a catalog published by Raak, not even a lamp in this style. Also, you will never find a lamp with a Raak label on it. When you do a search for them, numerous models appear. All Raak and Nanny Still… Strange indeed. 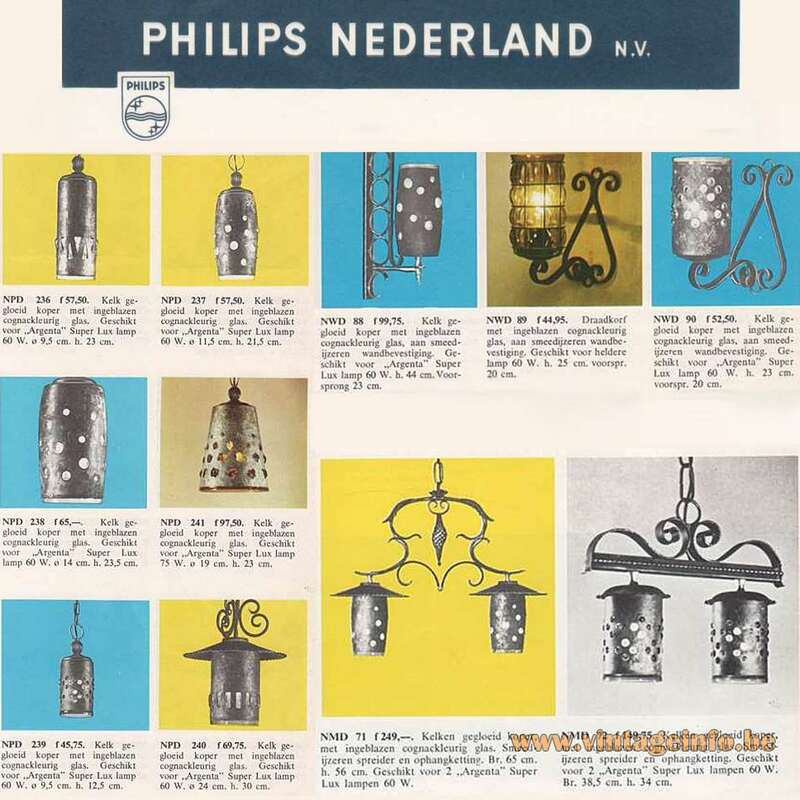 Koninklijke Philips N.V. produced many lamps like this, as you can see below in catalogues from 1967 and 1968. 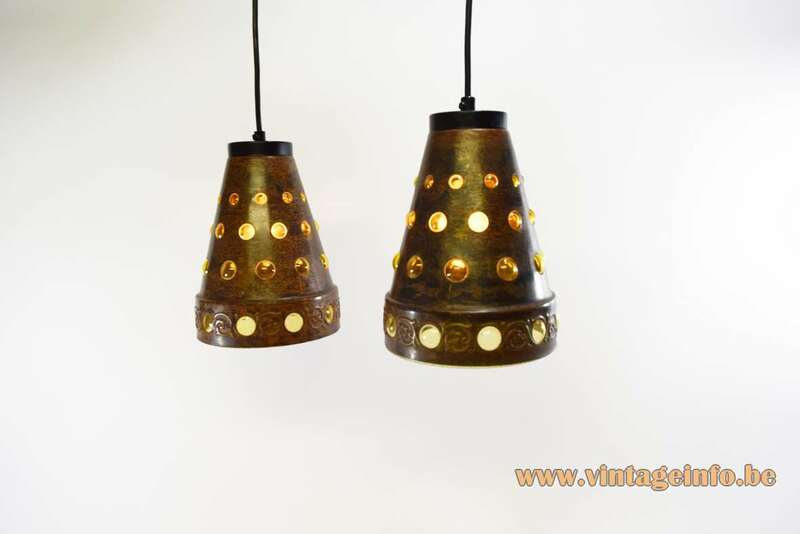 The Austrian company Rupert Nikoll also sold several lamps in this style. Emil Stejnar was their most well known designer. 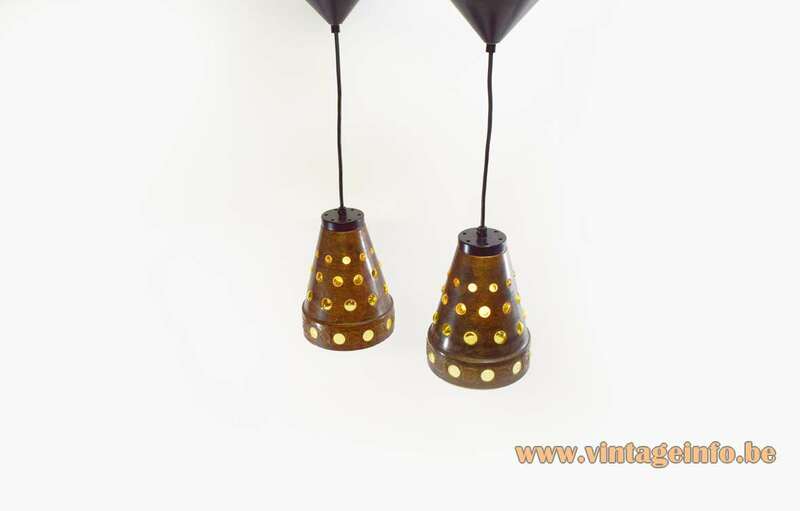 These lamps here on display are made by Peill + Putzler. 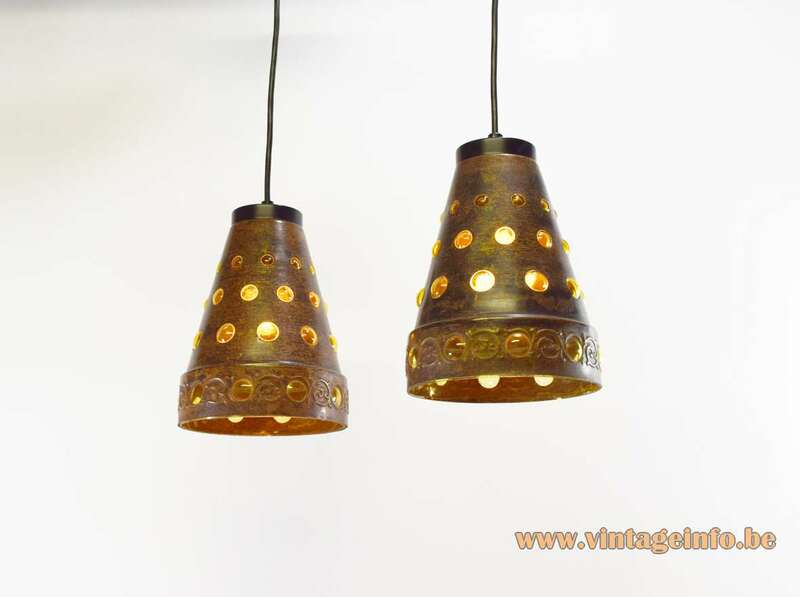 The hook to hang the lamp on the ceiling (picture below) is exclusively used by the company for many lights they produced. Later versions of this hook have the name Peill + Putzler written on it. 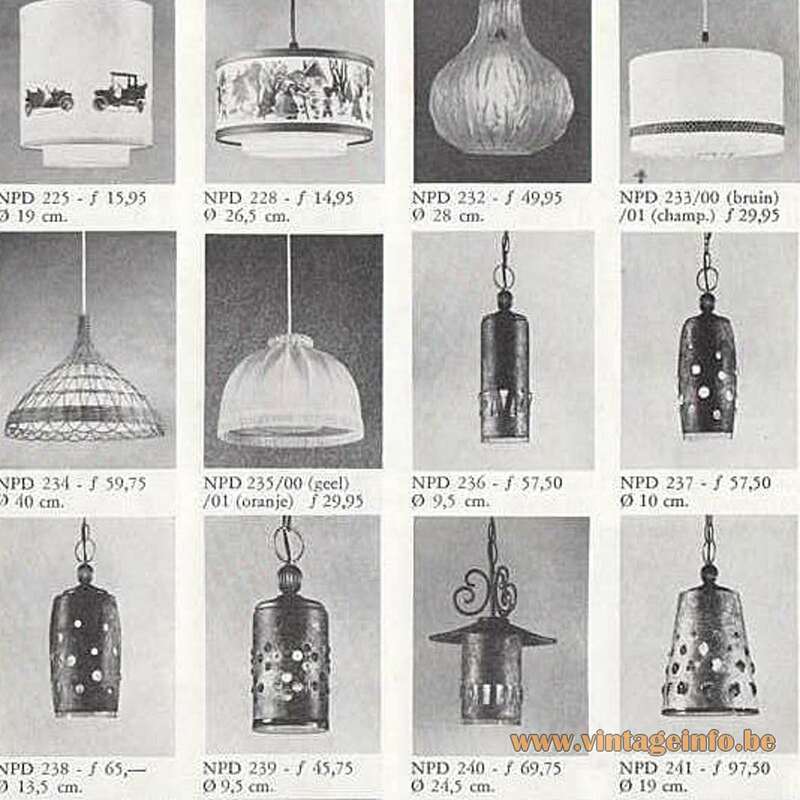 Peil + Putlzer also produced them for the Dutch company Herda. 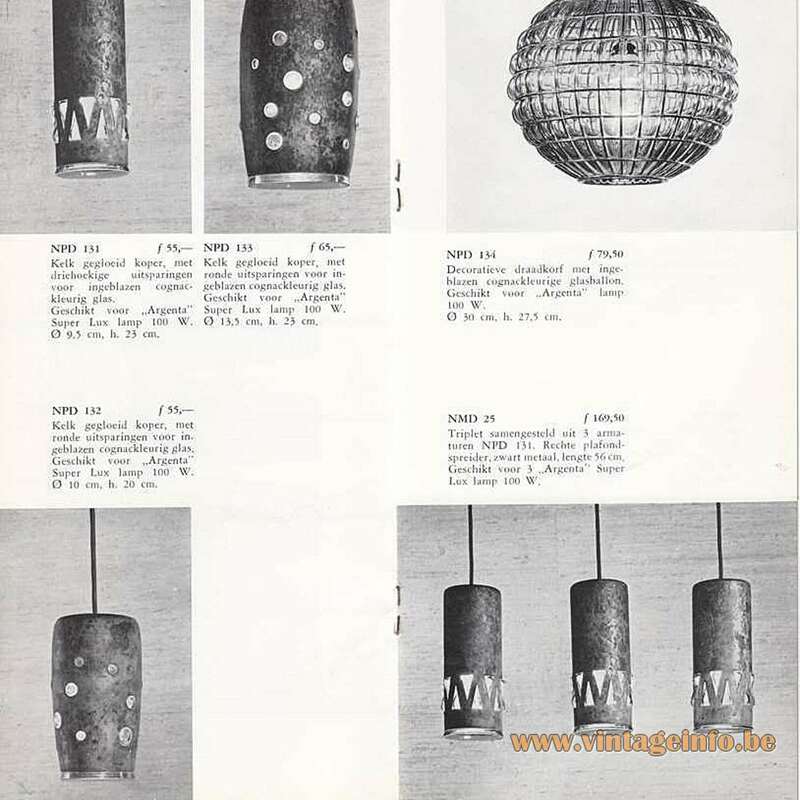 Chances are that all these lamps, also those by Philips, were made by Peill + Putzler. 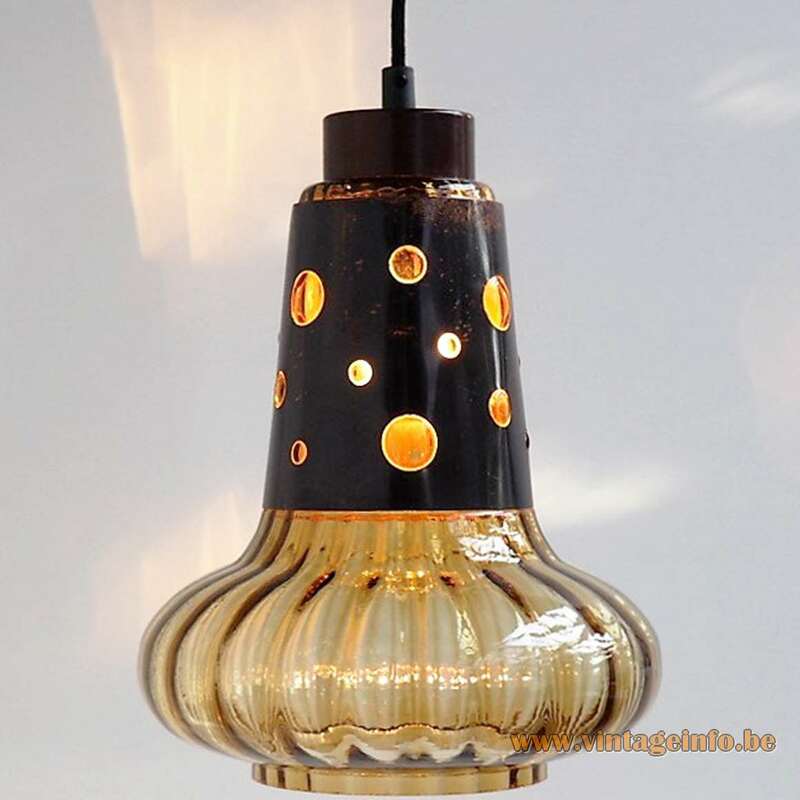 Peill + Putzler produced glass for many lamp producers in the world at that time. 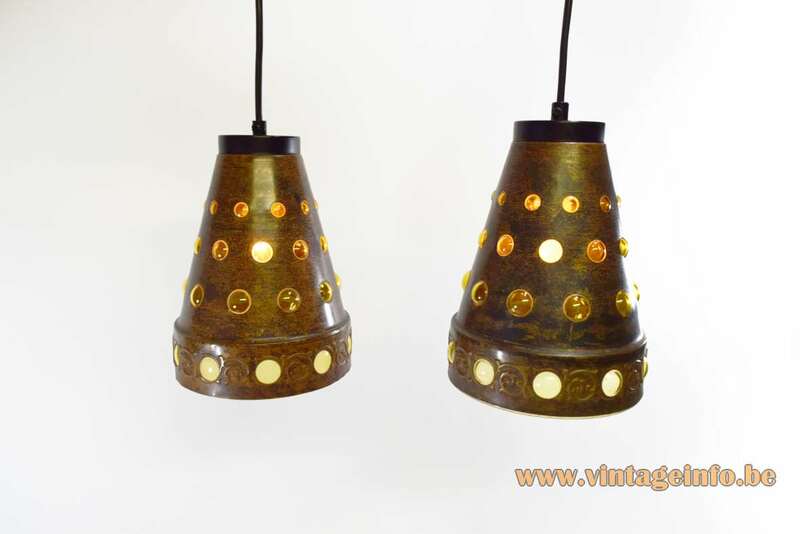 Other companies that sold these type of lamps are, among others: Van Doorn, The Netherlands, Massive Lighting, Belgium, Arnold Wiigs Fabrikker, Norway, Herda, The Netherlands and several others. The technique used is invented in Murano, Italy. They call it caged glass. The glass is blown inside the copper while the copper is heated. It’s impossible to remove the glass afterwards. Glashüttenwerk Peill und Sohn was founded in 1903 in Düren, a small town in (West) Germany. Peill und Sohn merged with Putzler (founded in 1869) in 1947 as a glass works and lighting company and became Peill + Putzler Glashüttenwerke. The company always worked with important designers such as Wilhelm Wagenfeld, William Brown, Helmut Demary, Aloys Ferdinand Gangkofner, Horst Tüselmann and many others. In the 1950s 1500 people were working for the company. 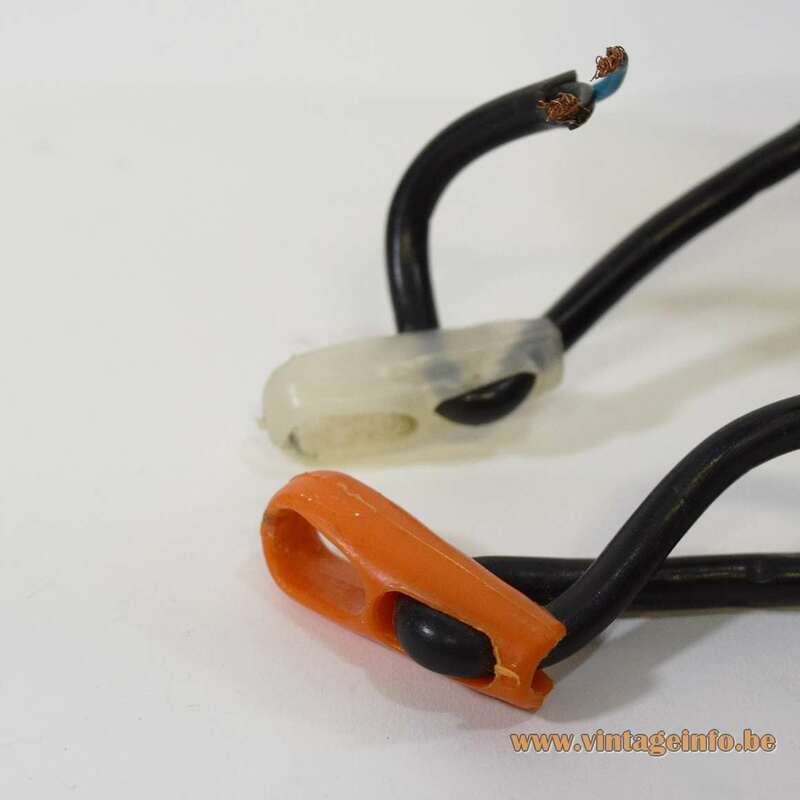 They also produced glass for other light companies in Europe, such as Raak, Amsterdam, The Netherlands. In 1995 the production of glass and lighting moved to Slovenia, Poland and the Czech Republic. 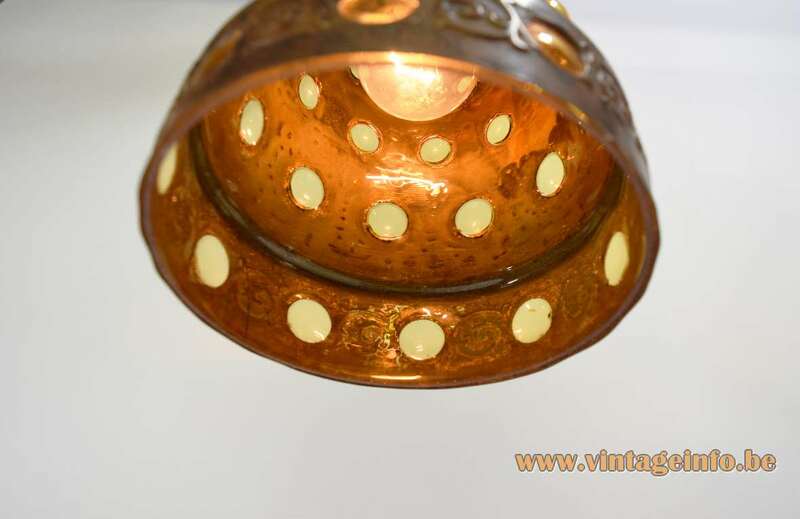 Only the trading of lamps en glass stayed in Düren. 1 year after the 100st anniversary in 2004, bankruptcy was filed. In 2007 the name Peill + Putzler was re-used for a while for the Wagenfeld lightingof the German lighting company of Paul Neuhaus. Today the Peill + Putzler factory is called Glashütte Düren and is converted to many other businesses and conference center.